Jurgen Klopp is building a legacy at Liverpool, and while these are still early days and silverware is required, there are comparisons to be drawn with Bill Shankly. One of the most memorable moments in Liverpool’s incredible season so far was the moment Divock Origi popped up in the last minute to score the winner against Everton at Anfield. 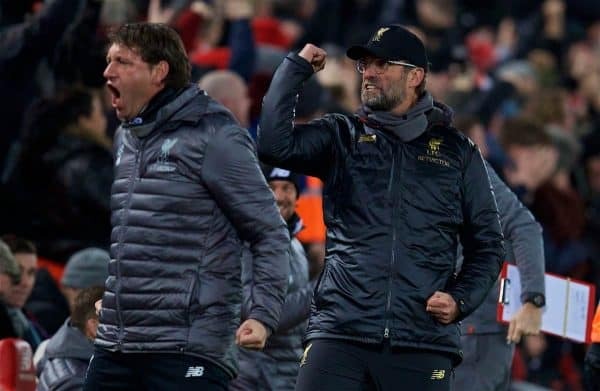 Anfield erupted—but it was the reaction of Jurgen Klopp that really captured the moment—charging onto the pitch to celebrate the goal with Allison. 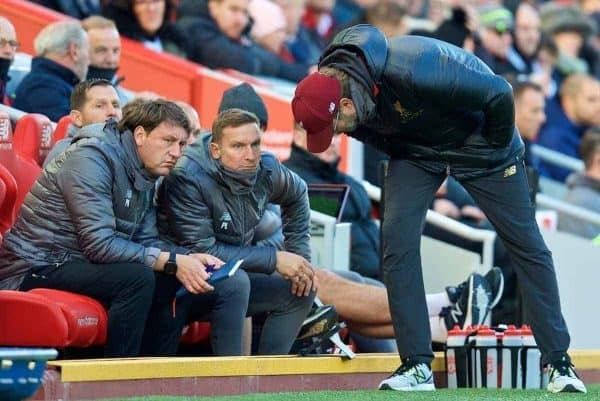 In that moment, Klopp reacted in exactly the same way as every single Liverpool supporter across the globe. This isn’t just a job to Klopp; he is all in, emotionally invested in the club and its success. And that is exactly what makes him one of the most sought-after coaches in world football. 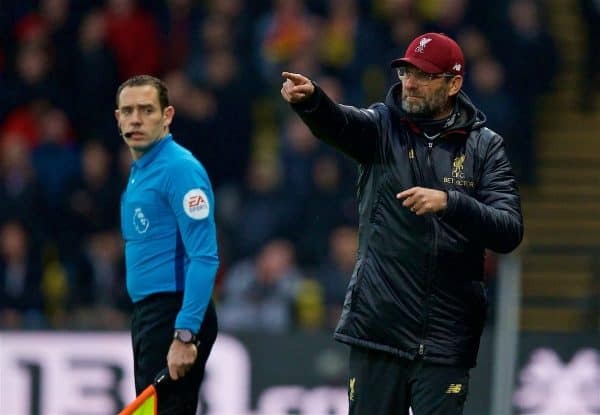 The reason Jurgen Klopp connects with supporters is because he is one himself. He invests himself in the emotion of football, and he looks at the game through supporters’ eyes. With Klopp, it isn’t just about the football, it is about the culture and the connection—it’s always dangerous to compare people to Shankly but they both share the same vision for Liverpool FC: that unity is strength. Jurgen Klopp is building something special at Liverpool, his legacy will be judged on trophies, but it will likely extend far beyond silverware. The period unfolding at Liverpool under Klopp is something that should be cherished, as is Klopp himself. Klopp is the chief architect in Liverpool’s transition from a club with ambition to a club that that is starting to live that ambition. The best leaders are the ones that deal in hope. They listen to the people around them, and they can take people on a journey. Klopp has done all of these things at Liverpool. On his arrival at the club, the first thing on his agenda was to “turn doubters into believers”—he knew the cynicism and years of hurt the club had been through and was pulling it down. 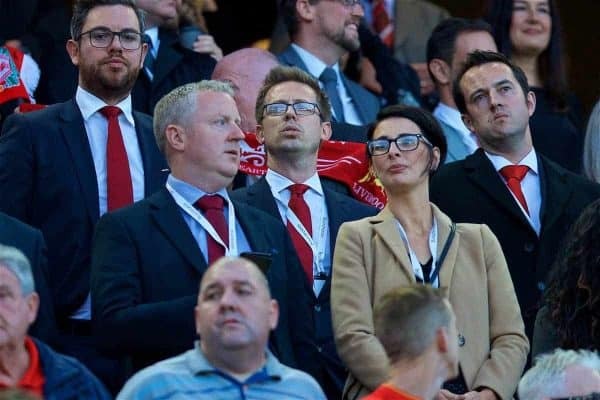 He could see that the club needed to heal—both divisions inside the club that caused the demise of Brendan Rodgers, and the divisions in the fanbase created by a huge sense of frustration around the continual one step forward, two steps back. Klopp also knew that the connection between the players and supporters was a critical part of rebuilding the culture at the club. That is why early on in his tenure, the players came to thank the Kop after salvaging a late draw against West Brom. It may have looked a little strange at the time, and given rival supporters something to smile about, but it was a statement of intent that things were going to change. Klopp leaves his ego out of his role, and one of his greatest successes is the partnership he has built up with Michael Edwards and Mike Gordon. He recognises the value of a sporting director constructing a squad—with the coach having a voice—but more importantly, listening to the people around him who track players across the world. His style is so enigmatic that he engages people—when he talks, you listen and connect with what he says. This is one of the big reasons that he has been able to get the people around him to buy into his philosophy and ideas. Klopp has an incredible ability to create hope, he has a vision of what he wants to build at Liverpool, and he is taking everyone on that journey with him. Under Klopp’s tenure we have also seen the players encouraged to connect with the community more and more. 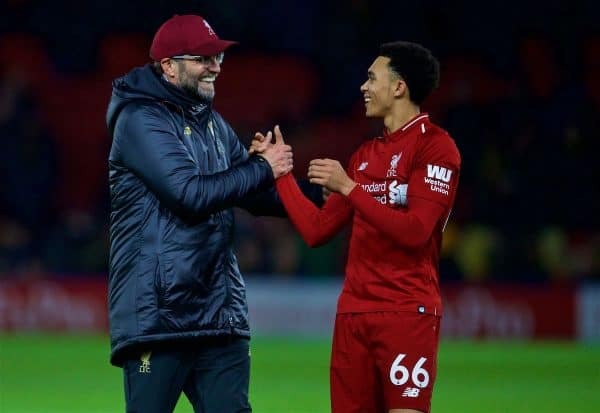 There are regular stories about how the players are giving back to the local community and supporters, from small gestures like giving shirts after a game, and much bigger ones like Trent Alexander-Arnold investing his boot sponsorship earnings into football pitches for kids. Of course, this isn’t all down to Klopp and the players should be applauded, but it is a reflection of the culture that he has been building at Liverpool since his arrival. 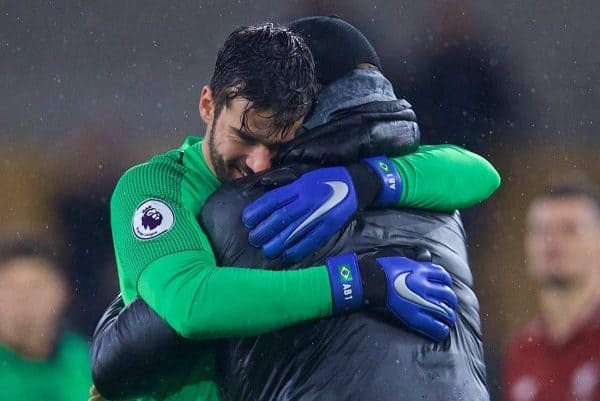 One of the things about Klopp that makes him special is the bond he builds with supporters. There are many coaches in the game that like to take a slightly distant, dispassionate approach to the job so they are making decisions with head over heart. But his entire style is built on emotion—especially during a game. There have been moments in his Liverpool career when Klopp has been so animated he has quite clearly lifted the entire stadium. Klopp wouldn’t be out of place with the most passionate supporter in the Kop. 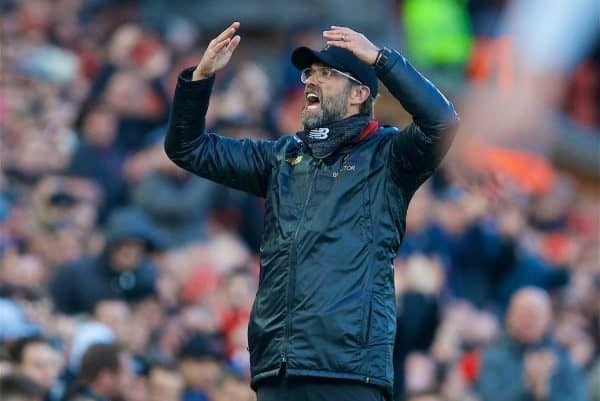 There are times when you can understand why rival managers and supporters get frustrated with Klopp’s antics on the touchline, and what are becoming his legendary celebrations to important goals. But if you look at him through the lens of a supporter, he gives you the sense that he is on your side. That he is one of you. There isn’t a club in the world that wouldn’t want Klopp in charge—however much they may protest. That isn’t just because he is a world-class coach, it is because when he joins a club he is all in—exactly the same way you are when you are a supporter. You want your manager to care about the club as much as you do. 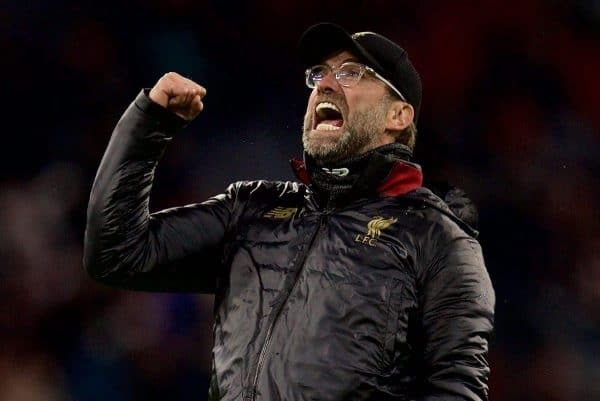 Klopp wears his heart on his sleeve and although sometimes his emotions get the better of him in the heat of battle, there is no doubt just how much Liverpool Football Club means to him. 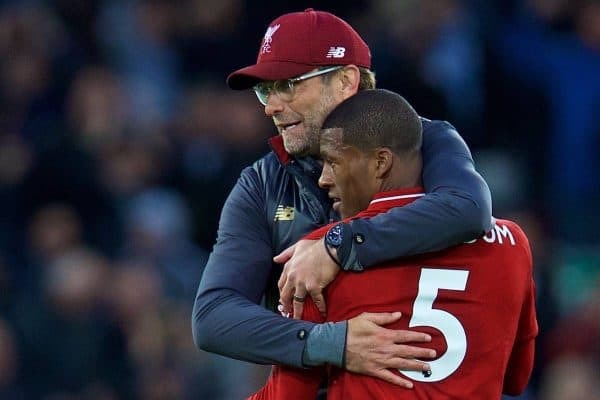 Although Klopp may be led by his emotions in the game, he has an incredibly smart footballing brain and has an ability to get the very best out of players. He seems to value the influence of a strong team around him, with the influence of Zeljko Buvac a key factor in the early evolution of the club’s identity; and we are now seeing a more mature, controlled style develop with the growing influence of Pep Lijnders. But the key to the club’s progression is Klopp. One of the reasons he is a great coach is because he is a natural collaborator. He works brilliantly well with Edwards, Gordon, Lijnders, Peter Krawietz and the wider team around him. There are no egos at the club, and that comes from Klopp. Although he is a great collaborator, Klopp also has a natural authority, and he isn’t afraid to make big or unpopular decisions. It is a fact of life for any coach in today’s game that team selections will never please everyone, with endless commentary on social media game by game. But Klopp sees a different side to players in training during the week—and this season his judgement for the majority of games has been outstanding. That is evidenced by the club’s current league position and upcoming clash with Porto in the Champions League quarter-finals. One of Klopp’s biggest assets as a coach is his man-management. He understands his players, he values loyalty, and if you are a Klopp player you are treated like a member of his family (Don Jurgen) and not an employee. It is for that reason his players will run through brick walls for him. And it is for that reason when Liverpool come calling for the world’s best players in the market today, they listen. There are times when because of Klopp’s style, his tactical acumen isn’t always appreciated. 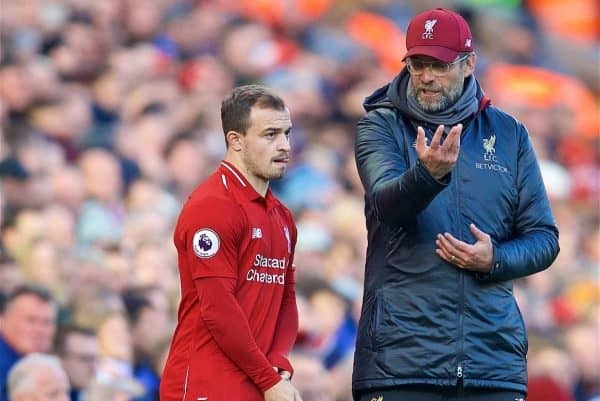 But if you look closely at the evolution of Liverpool’s style since he arrived, and the recruitment and progression of players, it is clear as day that he has been searching for a formula that can make the club competitive. He hasn’t stumbled across a style or been lucky, he has surgically constructed a side and a style that is very close to achieving success. It is still very early days to draw comparisons between Klopp and Shankly. But like anything in life, sometimes you don’t always appreciate what you have in the moment. 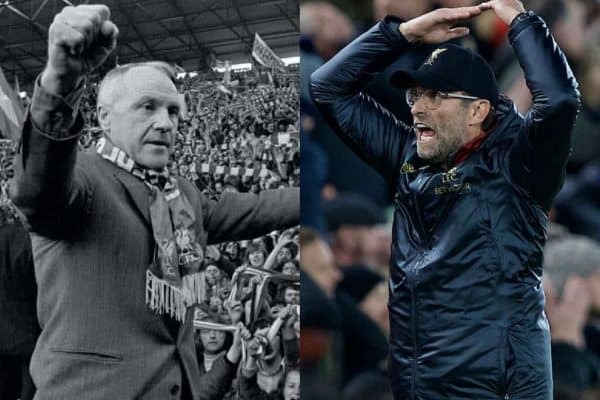 There are some clear parallels between the styles of Klopp and Shankly, and they share some of the same ideas and strengths—but in other ways are also incredibly different. But when Shankly came into Liverpool in 1959 he laid the foundations for the success the club enjoyed over a long period. That is what Klopp is doing today, both on the pitch and off it. It seems inevitable that Klopp will soon lead the club to silverware, but whatever happens this season and beyond, he has unified the club and given it hope once again. He has given the club its pride back. And he has us competing at the top of the game once again. There are few people in world football that could do what Klopp has so far at Liverpool—and we should cherish the time he is with us as a special time in the club’s history.